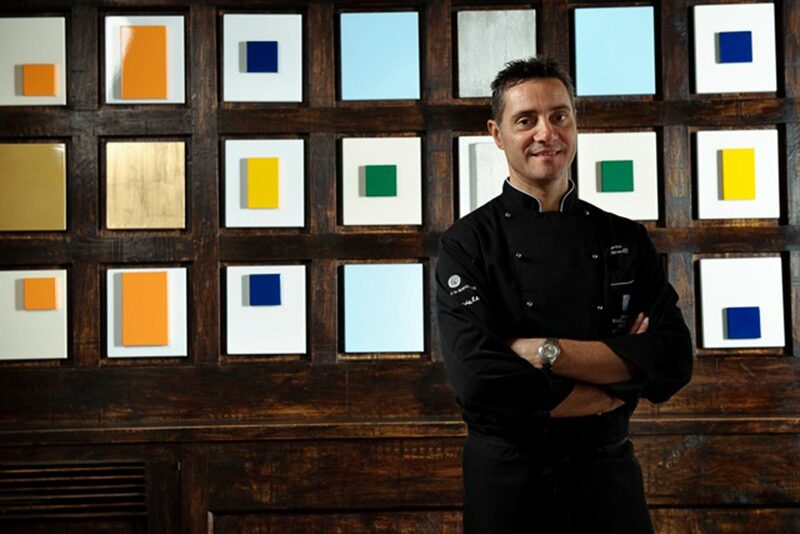 Marco Bistarelli fifteen years ago he won a Michelin star, he has climbed to the top of the prestigious association ‘Jeunes Restaurateurs d’Europe’, and his restaurant ‘Il Postale’ in Città di Castello was hugely popular. Then came the decision to transfer his business to the Castello di Monterone in Perugia. The Mag chatted with him about nouvelle cuisine, traditions, talent shows and food quality, and it can’t be said that Marco Bistarelli doesn’t know what he is talking about. A Michelin star when you were at ‘Il Postale’ in Città di Castello – you very nearly had more visitors than the Burri museums! «Nice comparison… to have more visitors than Burri is an honour, a privilege! Having a Michelin star is the ambition of every chef in the world of gourmet-cuisine, but the problem is how to keep hold of it. Fifteen years after achieving this first goal, I combined determination and passion, ambition and research. I’ve come to the conclusion that the real victory is having customers who follow and support you; they’re the real stars». «After 15 satisfying years I came to a crossroads, partly due to the economic crisis and partly to social changes. We made the difficult decision to move to Monterone Castle, particularly for its special location and evocative atmosphere. It’s a new challenge for the future; one I’ve now realized and which fills me with pride … I don’t regret the past, I’ve always looked to the future». For years you’ve been the chef at the top of the prestigious international association ‘Jeunes Restaurateurs d’Europe’. Has this experience been rewarding? «Very much so, and it’s allowed me to research and improve my knowledge and techniques at a European level; in particular with the French and Belgians, (surprisingly) – it was a priceless experience. My presidency (2005-09) has allowed me to get prestigious positions on the European board (which still oversees and makes proposals), as well as the vice-presidency, which is very satisfying». Cooking talent shows are very much the rage – are these real opportunities or just ‘smoke and mirrors’? «They are shows that, alas, don’t do justice to the rigour and passion that’s required. Imagine me throwing plates and swearing at the participants, rather than teaching … no, I really can’t see it! After all, who are they? Where do they work? Who knows? They should all end up on a missing persons programme». Do you think that the increase in gastronomic programmes will be end with people being sick of them? «Absolutely! It’s okay to be a star sometimes, but it’s also true that we have responsibilities – the viewers are fascinated by the alchemy and science fiction preparations, but we have to come back down to earth, and remind ourselves of the maestri who’ve taught us the real identity of Made in Italy ». The white truffle, the pride of the Altotevere, is still struggling to take off in terms of national image in spite of the many decades of the truffle exhibition. Have you got any ideas to give it greater visibility? «That’s a sore point! Years ago Beppe Bigazzi, Anna Moroni, Alex Revelli and others came along, all of them professionals and leaders with an excellent knowledge of popular culture. It resulted in increased popularity of the white truffle as they used it in their restaurants and on television programmes. Well, that edition was judged as the best because it involved the town; local businesses, schools and their students….. it was something new. It should have been the moment with which it took off; instead in my opinion it’s going downhill. If we had continued investing in quality we might have grown wings». After the scandal that has swept EXPO 2015, could it be an important showcase for Italian food? «It could bring us to the forefront of agri-food culture. 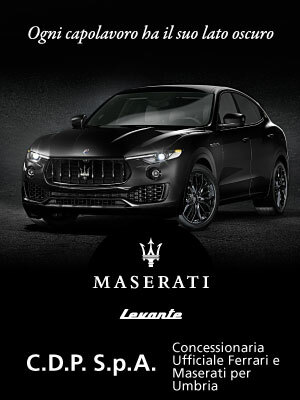 Yes, it’s a unique opportunity for the quality of all Italian industry, even if it’s the system that needs to be sorted out – otherwise it would be a defeat without precedent. The march of political malfeasance ruins the minds of those who still believe in the individual potential of our beautiful country ».